Bolt is a fantastic combination of both sire and dam. He is a lovely mover with wonderful suspension, natural balance, and an expressive, playful personality. As a youngster Bolt was quite confident in and out of the arena. His intelligence and love of people make him a great student. He is a left brained extrovert, methodical and “present” in training. Summer of 2012, at 2 years old, Bolt worked on the ground in long lines with a saddle and bridle. He excelled in his ground work, learning quickly to make a game of it all. Summer of 2013 Bolt had his official start under saddle. He is wonderfully expressive yet non-spooky and level headed. He is nicely forward, willing and comfortable in the walk, trot and canter. He enjoys riding outside of the arena through the pastures and woods at the end of his daily work session. 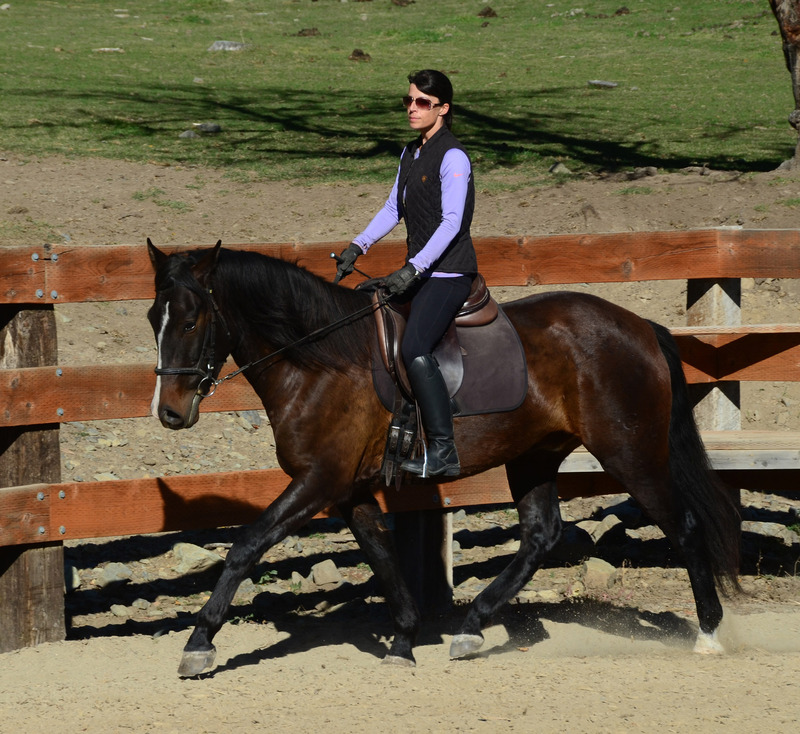 He will be an excellent riding partner that is playful, interested and engaged. Bolt has the athleticism and charisma to be a star. Summer of 2014 we took Bolt to his first clinic away from home. Angi rode him with Miguel Duarte, who was in the US from Portugal. Miguel was quite impressed with Bolt, commenting on his consistent rhythm and natural balance as well as his great work ethic in the arena. 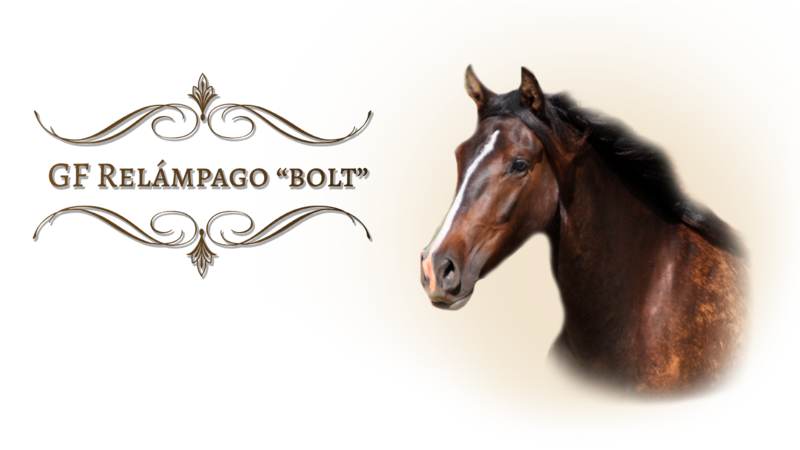 Bolt is the full brother to Ciriaco de Kianto "Taco".